Enjoy small, edible works of art! Cookies make excellent party favors. I can customize them to match the theme of your party and coordinate with the cake. Cookie pricing is based on the industry standard of $1 per inch plus the amount of details or colors involved. So a 3 inch cookie will start at $3 and go up from there, depending on design. Cookies can be individually wrapped starting at 25 cents per cookie. 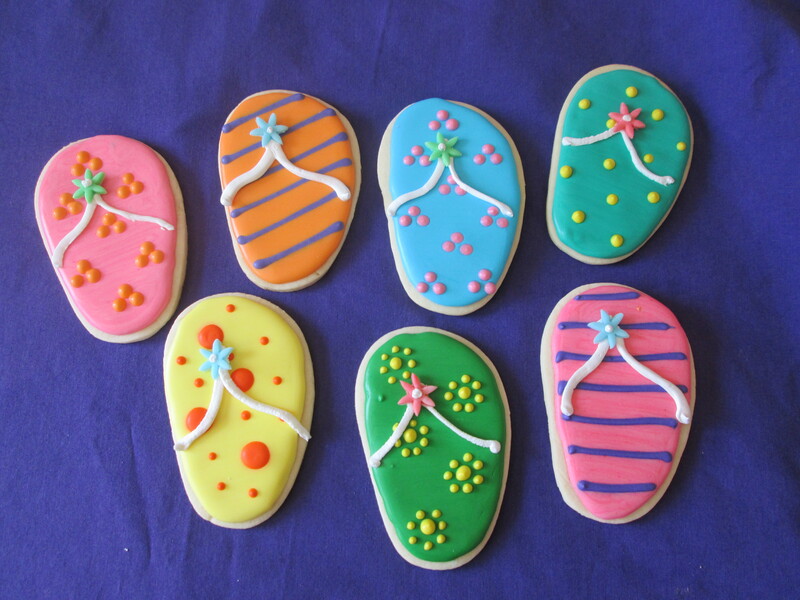 Kindly note: custom sugar cookies are time consuming and labor intensive to create. Depending on the design they can take multiple days to finish. They are priced accordingly. We also make cookie bouquets. Minimum order of 1 dozen required.